Every world has its wall-crawler - and these are some of the most amazing! 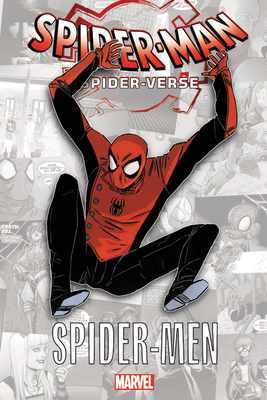 When Peter Parker, the original Spider-Man, journeys to the Ultimate Universe, he finds himself face-to-face with another Aunt May, a young Gwen Stacy, and an all-new web-slinger - Miles Morales! It's a landmark meeting of the Spider-Men! Elsewhere in the Spider-Verse, venture into the dark world of Spider-Man Noir, and watch as he faces the smoke and mirrors of the magnifi cent Mysterio! But you've never seen anything like SP//dr - or its pilot, Peni Parker! Things take a hammy turn as Peter Porker, Spider-Ham celebrates his 25th birthday -but who invited Doctor Octopuss and the Swinester Six? Plus, Spider-Gwen, Spider-Girl and more unite as the Web-Warriors!